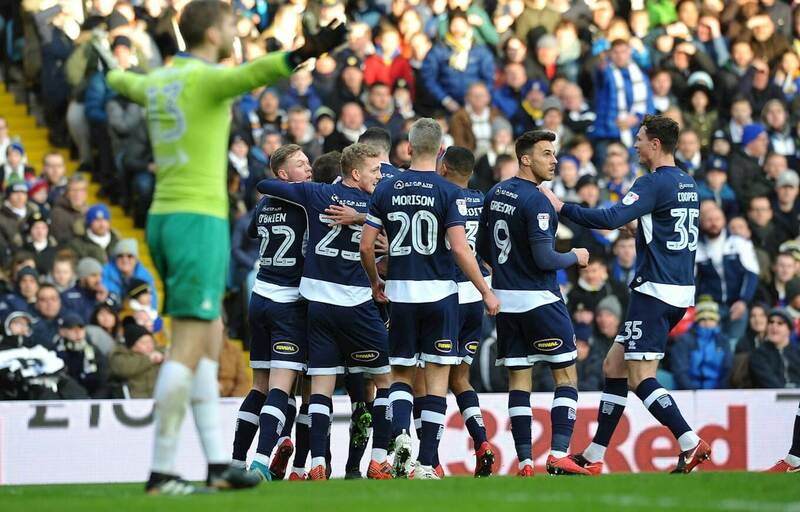 Millwall stunned Leeds United in an absolute classic by 4 goals to 3 with the home side down to ten men at Elland Road following the sending off of Leeds player Liam Cooper in the first half. The Lions have suffered a torrid affair on the road this campaign but pulled the rabbit out of the hat with this unlikely victory in Yorkshire thanks to a stoppage time winner from Jed Wallace. This superb win for the Londoners sees them rise a place to 15th in the table and dare I say beautiful and relative security just what Neil Harris would have asked for this side of the New Year. The Londoners look fairly secure and this rare away win was exactly what the Doctor ordered. Millwall went 2-0 up through Aiden O’Brien and Lee Gregory, but only after Millwall were 1-0 up that we saw Liam Cooper sent off before the break for a late challenge on George Saville. When Gregory pounced for the second you could imagine it was all over but Leeds refused to lay down and capitulate. A brace from Pierre-Michel Lasogga, either side of Kemar Roofe’s smart finish, put Leeds 3-2 up beyond all of the expectations of the home fans. Tom Elliott equalised for Millwall late on and unexpectedly they snatched the three points through Jed Wallace’s late dramatic deflected effort. This win for Neil Harris’ side was their first away from home this season and left Leeds three points adrift of the play-off places. Millwall started well with O’Brien denied by Felix Wiedwald inside the first minute and Wallace having a goal disallowed for offside before the former headed in from Steve Morison’s cross to the far post. Former Leeds man Morison then contributed his second assist of the day when Gregory tapped in his low centre from point-blank range. So It looked like game over for Leeds when Cooper’s sending off, Leeds’ third in as many games – left them with 10 men for the final 53 minutes. 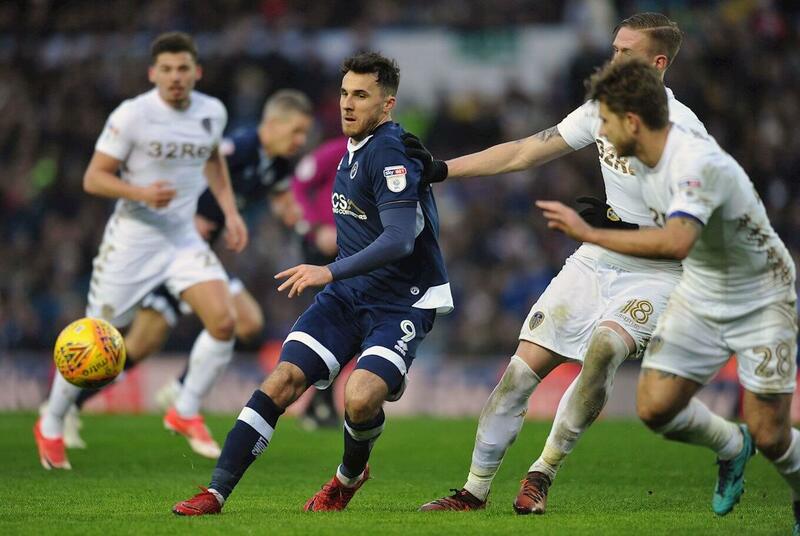 Yet totally expectantly and with the Millwall defence half asleep, within 30 seconds of the restart, Lasogga had pulled a goal back after Shaun Williams missed his clearance, and it was quickly 2-2 when Roofe bundled the ball in after a goalmouth scramble. The Leeds fans hit the roof thanks to Roofe. Incredibly, Leeds United then took the lead when Pablo Hernandez found Lasogga to finish superbly from 25 yards, but Elliott’s low shot, with just three minutes of normal time remaining, levelled it up once more. There was still time for a dramatic finish as Leeds surrendered possession, Millwall broke and Wallace’s shot gave his side all three points. If the fans looked astounded so did the players but a fantastic win for Millwall. “I’m feeling very bad. Of course, I cannot be satisfied with the result and the way we did the first half. We shoot ourselves in our feet and make it very difficult. Every game we see a stupid red card and we cannot afford that. Marc Found the Pharaoh’s Treasure!